John Battelle's Search Blog Will Transparency Trump Secrecy In The Digital Age? 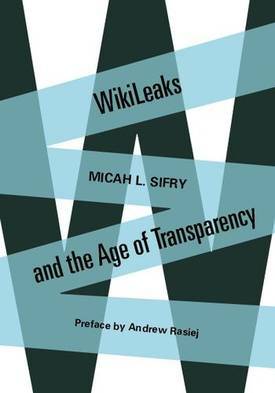 Would another organization similar to WikiLeaks require a different funding structure? It seems corporations are ready to pounce anything remotely similar to the WikiLeaks model. I agree with the substance of Mr. Silfry’s argument. As for solutions, I’m convinced the speech-related microtransaction… by itself is a FUNDAMENTAL NEED for scaling speech and accountability… and can further form the basis of a user-owned network (or network of related networks) under terms protecting the Internet (and the Rights of the Commons) from intrusion by either private corporate interests or the narrow selfd-interest of governments. I’m pleased this concept seems to be getting through to some in this community… and I can only hope that at some point this industry will have interest in hearing why I believe this utility is so necessary. I am not sure why you are suggesting that accountability and transparency are equivalents. Its not clear to me that a Wikileaks doesn’t make public officials more transparent but less able to do their jobs. In a sense, then, the transparency is making officials less able to be held accountable because its harder to do their job. And your argument that corporations have marginalized Wikileaks due to government pressure as opposed to their own self-interest is a little hard to comprehend. It seems to me the issue comes down to how do you hold an institution accountable and to what extent to you give the players enough room to do their jobs well. I don’t think that should be up to another entity. I do think that if you feel that those institutions are not sufficiently accountable you need to find ways to make them more so. I think that the weakening of our national press (at least in terms of investigative journalism and all the things that cost money but don’t add to the bottom line) is a problem here. However, I’m not sure that Wikileaks is the answer. If anything, I think Wikileaks causes more problems as it ends up silencing those who have the courage to be candid in private in order to try to accomplish a particular goal. So, ultimately to me, its not a question of whether or not to have secrecy but the balance between the need to keep some information private / confidential / secret for quite some time against everything to be seen in real time or near real time. And I think a compelling case could be made that the latter has played a significant role in making it very difficult for governments to operate and make tough decisions since by doing so some group will be unhappy and that group will be sufficiently energized as to do all they can to stop the government from moving forward. It seems to me the real problem is that you need some individuals who both have the interests of the insitutions in mind but also the sense of what is beyond the pale to call everyone’s attention to some things and maintain some standards. Without such an elite of sorts, its almost impossible to balance things and without balance, its really hard to maintain our system or other open and democratic systems. Interesting thoughts, however. I recommend Ezra Klein’s review of the Lessig book at the New York Review of Books, http://www.nybooks.com/articles/archives/2012/mar/22/our-corrupt-politics-its-not-all-money/?pagination=false. Some holistic perspectives on the intentions of the founding fathers, the vision and plans of the architect, why developments have disconnected, and where the design remains unfinished. The thing about Wikileaks is that, while it champions transparency, there’s still the issue of verification. The public remains unsure as to how seriously they should take these documents. It’s a big hit among conspiracy theorists, but it still remains suspicious to the average person. I have agree whit microsourciong, hte conspiracy theorist are still here, but the trasparency is for ever a good thing, fair play man! Next Next post: China To Bloggers: Stop Talking Now. K Thanks Bye.